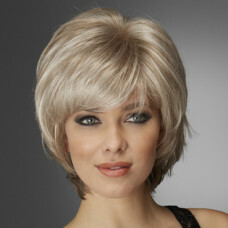 A chic cropped wig with a sweeping fringe. 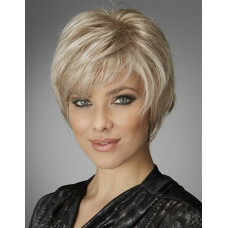 The Lace front and expert styling make this a style peopl.. 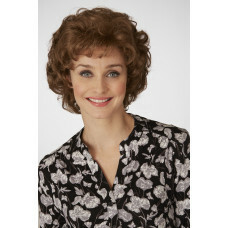 This short, feathered wig is one of our customer favorites. A striking, spiky look or smooth down fo..
Short , sassy and perfectly pretty, Attract is a modern and neat bob with face-framing layers, a sof..
An extremely versatile style featuring a side swept fringe and lots of feathered layers at the front..
Razored layers and just the right amount of volume at the crown make this crop pure Bliss. The Monof..
Soflty waved, textured layers and a lightly cut fringe defines Breeze, a classic cut which features ..
Celine is a beautifully cut style with lots of layers for optimum volume and movement, combined with..
Take a Chance with long layers that fall to your back and frame your face. Loaded with movement yet ..
Cascades of Voluminous ringlet curls and a soft, bouncy fringe defines Christina. A truly stunning s.. 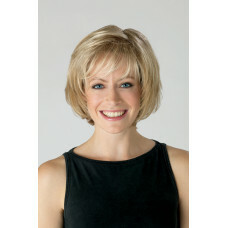 Create is a modern crop with a textured flippy back and soft layers through the front. The sheer Mon.. Crystal is a stunning long and layered wig with lots of texture and feathered flicks which create na..
A gorgeous hand tied bob style wig featuring all over choppy, layers which create lots of natural vo..
Sleek, chin length layers teamed with a sweeping fringe makes Dream a beautiful choice for both casu..
Echo has long,softly razored layers that almost hit the shoulder blades. The side swept fringe can b..